What is the cheapest way to get from Canary Wharf to Tilbury? The cheapest way to get from Canary Wharf to Tilbury is to drive which costs £3 - £6 and takes 29m. What is the fastest way to get from Canary Wharf to Tilbury? The quickest way to get from Canary Wharf to Tilbury is to train which costs £6 - £9 and takes 29m. Is there a direct bus between Canary Wharf and Tilbury? Yes, there is a direct bus departing from Canning Town and arriving at Tilbury, Amazon. Services depart four times a week, and operate Monday, Friday and Sunday. The journey takes approximately 1h 2m. Is there a direct train between Canary Wharf and Tilbury? Yes, there is a direct train departing from West Ham and arriving at Tilbury Town. Services depart every 30 minutes, and operate every day. The journey takes approximately 29m. How far is it from Canary Wharf to Tilbury? The distance between Canary Wharf and Tilbury is 17 miles. The road distance is 22.3 miles. How do I travel from Canary Wharf to Tilbury without a car? The best way to get from Canary Wharf to Tilbury without a car is to train which takes 29m and costs £6 - £9. How long does it take to get from Canary Wharf to Tilbury? 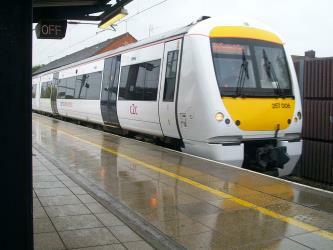 The train from West Ham to Tilbury Town takes 29m including transfers and departs every 30 minutes. Where do I catch the Canary Wharf to Tilbury bus from? Canary Wharf to Tilbury bus services, operated by Ensign Bus, depart from Canning Town station. Where do I catch the Canary Wharf to Tilbury train from? Canary Wharf to Tilbury train services, operated by c2c, depart from West Ham station. Train or bus from Canary Wharf to Tilbury? The best way to get from Canary Wharf to Tilbury is to train which takes 29m and costs £6 - £9. Alternatively, you can bus, which costs and takes 1h 2m. What companies run services between Canary Wharf, England and Tilbury, England? 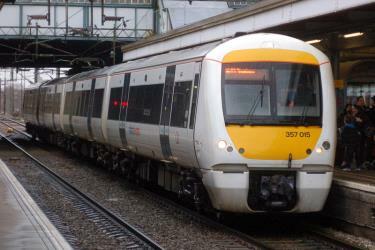 c2c operates a train from Canary Wharf to Tilbury every 30 minutes. Tickets cost £6 - £9 and the journey takes 29m. Alternatively, Ensign Bus operates a bus from Canary Wharf to Tilbury 4 times a week, and the journey takes 1h 2m. Where does the Canary Wharf to Tilbury bus arrive? Canary Wharf to Tilbury bus services, operated by Ensign Bus, arrive at Tilbury, Amazon station. Where does the Canary Wharf to Tilbury train arrive? 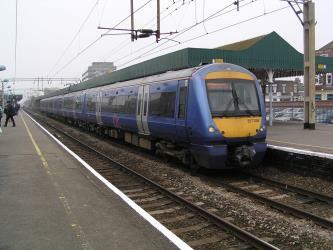 Canary Wharf to Tilbury train services, operated by c2c, arrive at Tilbury Town station. Can I drive from Canary Wharf to Tilbury? Yes, the driving distance between Canary Wharf to Tilbury is 22 miles. It takes approximately 29m to drive from Canary Wharf to Tilbury. How do I get a train ticket from Canary Wharf to Tilbury? 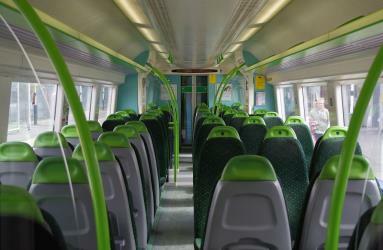 Book your Canary Wharf to Tilbury train tickets online with Rome2rio. Where can I stay near Tilbury? There are 497+ hotels available in Tilbury. Prices start at £47 per night. Coalhouse Fort is an artillery fort built in the 1860s to guard the lower Thames from seaborne attack. It stands at Coalhouse Point in Essex on the north bank of the river, at a location near East Tilbury that was vulnerable to raiders and invaders. It was the last in a series of fortifications dating back to the 15th century and was the direct successor to a smaller mid-19th century fort built on the same site. Constructed during a period of tension with France, its location on marshy ground caused problems from the start and led to a lengthy construction process. The fort was equipped with a variety of large-calibre artillery guns and the most modern defensive facilities at the time, including shell-proof casemates protected by granite facing and cast-iron shields. However, its lengthy construction and the rapid pace of artillery development at the time meant that it was virtually obsolete for its original purpose within a few years of its completion. Rome2rio makes travelling from Canary Wharf to Tilbury easy. Rome2rio is a door-to-door travel information and booking engine, helping you get to and from any location in the world. Find all the transport options for your trip from Canary Wharf to Tilbury right here. Rome2rio displays up to date schedules, route maps, journey times and estimated fares from relevant transport operators, ensuring you can make an informed decision about which option will suit you best. Rome2rio also offers online bookings for selected operators, making reservations easy and straightforward.